As you must be knowing that you can use freecharge wallet not just for recharge/bill payment purposes but also for making payment at several offline and online retailers like McDonalds, Jabong, CCD etc. 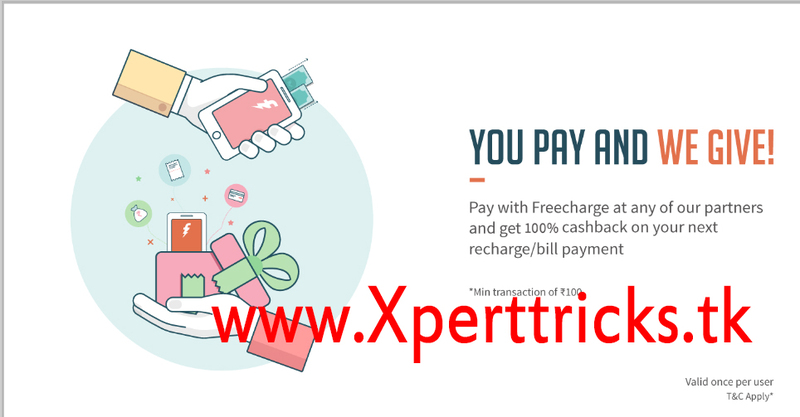 Well, paying via Freecharge now got more rewarding as you will get a 100% cashback coupon on doing a transaction via freecharge. Hurry up and grab this offer. The best thing is that there is no exception mentioned about Airtel users in terms and conditions. So coupon should work for Airtel users also. What are the stores which are eligible to be transacted at under this offer ? • Offer valid only for payments at select partners. Please refer list of partners tab. • No minimum transaction amount. Max Cash back of Rs.50.